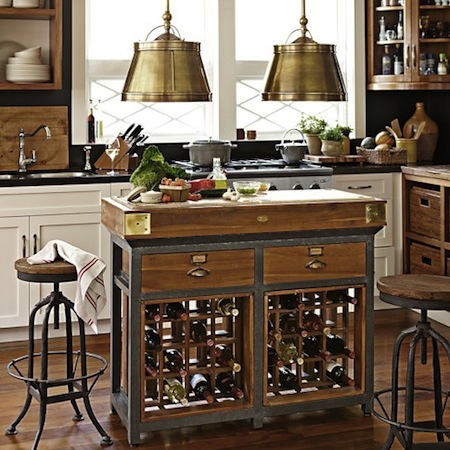 These days it's hard to imagine a kitchen without that oh-so-coveted kitchen island. All that extra space for prepping food, rolling out pastry dough, beating bread dough into submission and the list goes on. 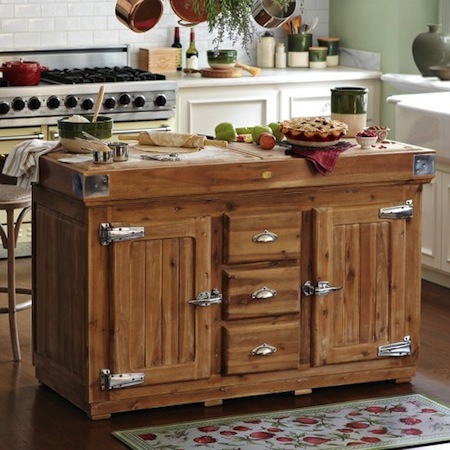 While kitchen islands aren't going to disappear from the dream kitchen wish-list anytime soon, I have noticed a trend towards making these islands more of a design feature; using different materials from the periphery cabinets. And lately, even replacing the traditional built-in mammoth with a moveable kitchen island. 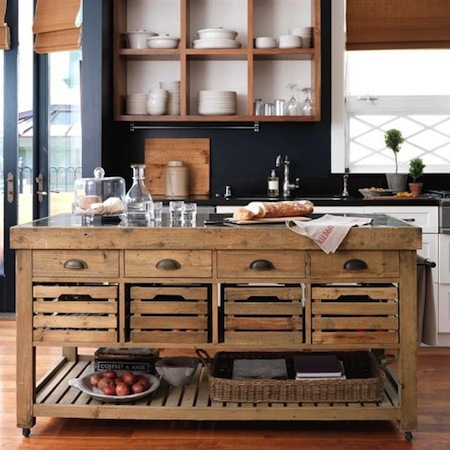 Smaller carts have always been easy and inexpensive ways for renters to get extra kitchen prep square footage but these larger, luxurious moveable islands from William Sonoma are just as fabulous as any built-in island.